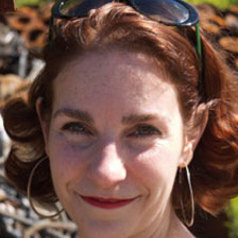 Arielle Saiber is Professor of Romance Languages & Literatures at Bowdoin College (Ph.D., Italian Literature, Yale). Saiber's books include Images of Quattrocento Florence: Writings on Literature, History and Art co-edited with Stefano U. Baldassarri (Yale, 2000); Giordano Bruno and the Geometry of Language (Routledge, 2005); and Measured Words: Computation and Writing in Renaissance Italy (University of Toronto Press, 2017). Saiber publishes on medieval and Renaissance Italian literature, the history of mathematics, Renaissance advice manuals, and early print history, as well as on science fiction. She is currently working on how Italian Renaissance humanists wrote about the nonhuman, and on a series of essays on Dante.